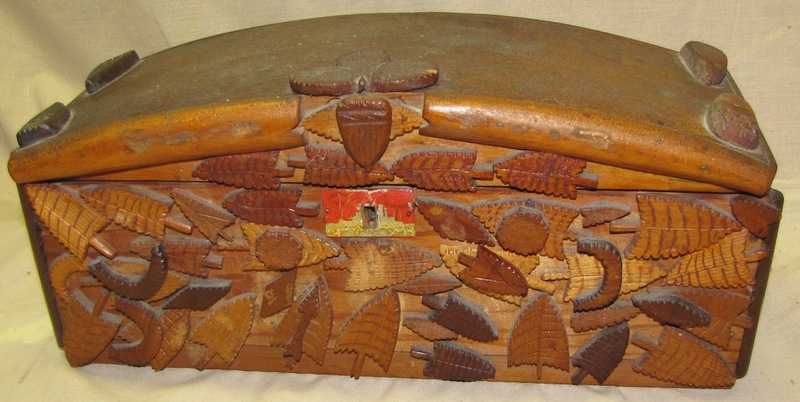 A small tramp art box from eastern Ontario. 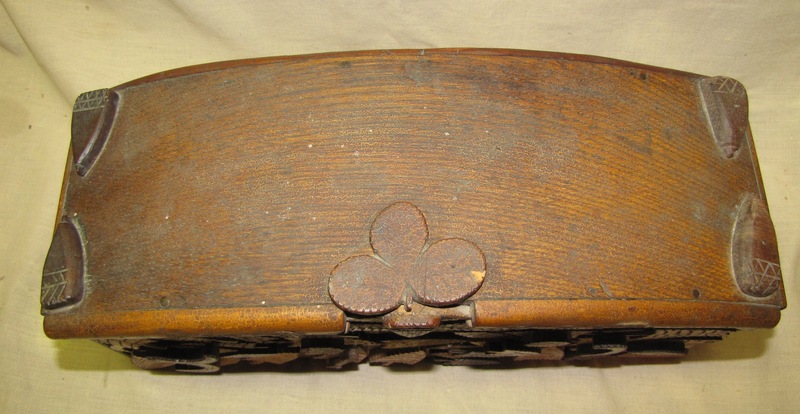 Probably made in the early 20th century, covered with chip carved pieces - acorns, arrows, leaves, crescents, clover leaf etc. In good condition and unusual with the arched top. Length 13"